We believe TOEFL prep should be clear and effective. That’s why we’ve designed our resources to deliver the most comprehensive, test-like, and efficient experience possible. Does it really weigh 5 lbs? Already have the 5 lb. 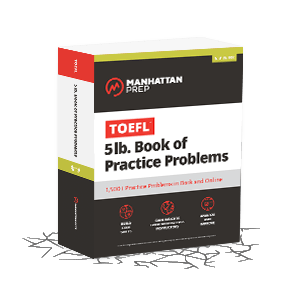 Book of TOEFL Practice Problems? Register your book to access your online TOEFL resources.